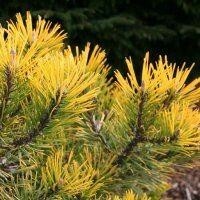 Pinus mugo Winter Gold is a hard to find dwarf mountain pine, with unusual and highly attractive bright golden yellow needles in winter. 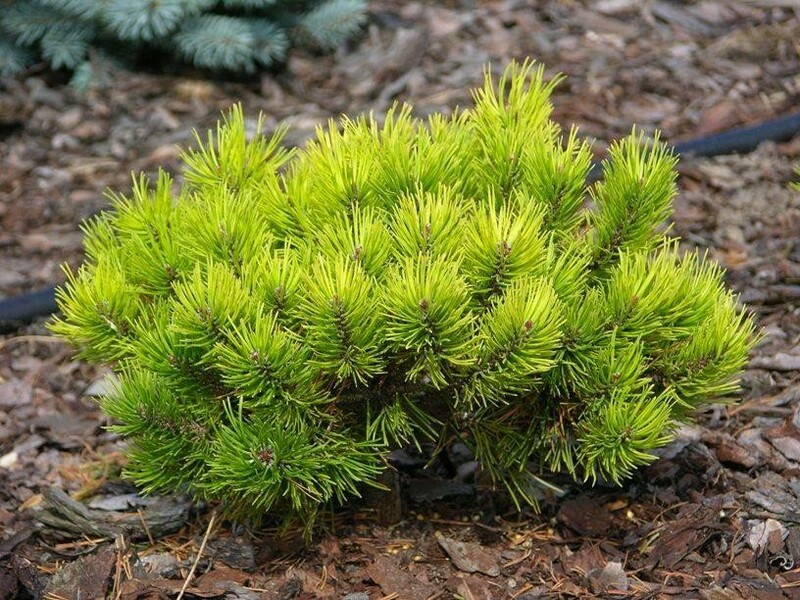 An evergreen with a neat globular to rounded growth habit it is a low maintenance, extremely slow growing conifer whose neat appearance makes it a fine specimen in an alpine or rock garden, or simply combine with selections of other plants. It looks particularly stunning if you've a Japanese themed area, combined with attractive Acer Maples. 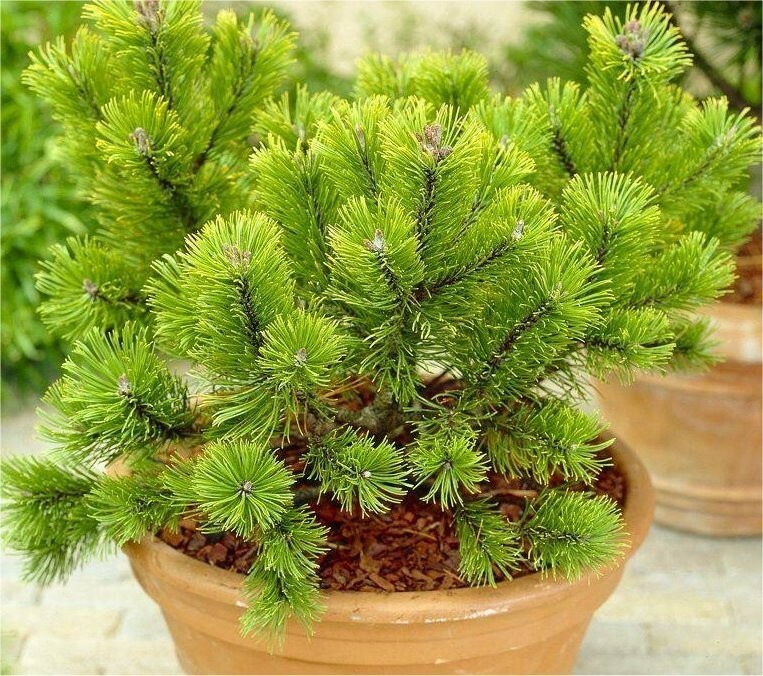 It will also make a stunning feature plant near a water feature or pond. Supplied in approx 5 litre containers. 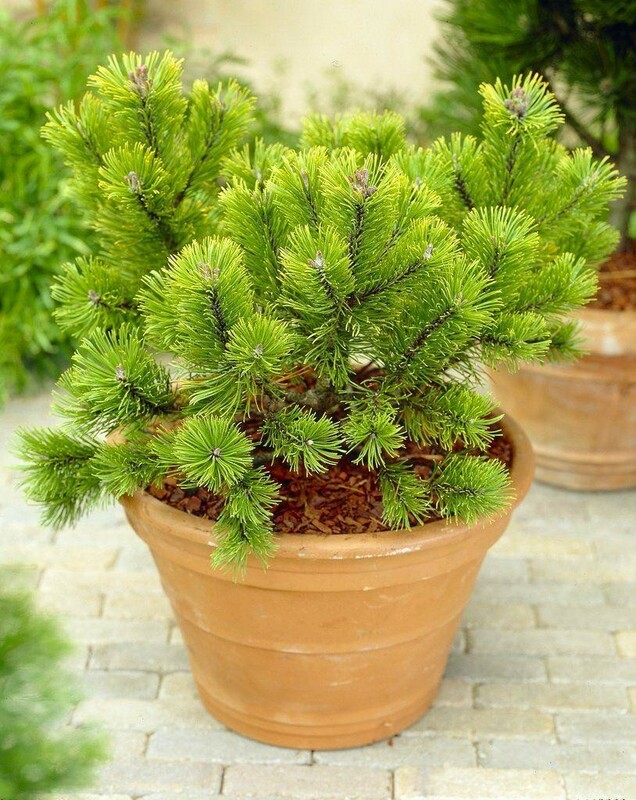 Plant one of these for something different and unusual, with all year round evergreen interest.